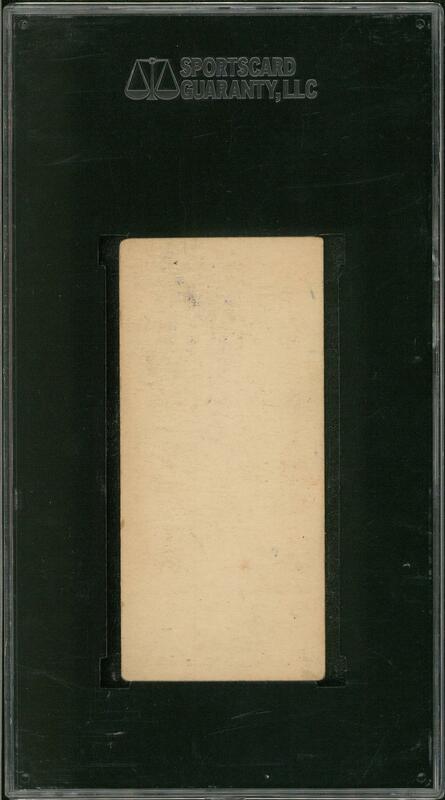 Graded 50 VG/EX 4 by SGC. Hall of Famer. This is one of three examples at its tier (with five graded higher) among a total of 20 copies recorded in SGC's census reporting. 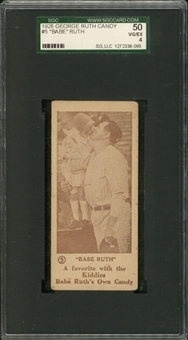 A very special souvenir of George H. Ruth's "own" candy venture, this sepia-toned piece is simply entitled "'Babe' Ruth." The item's technical faults are limited to moderate corner wear, and its blank back is generally clean; the charming photograph is crystal-clear. Very Good to Excellent condition.